I’m in love! 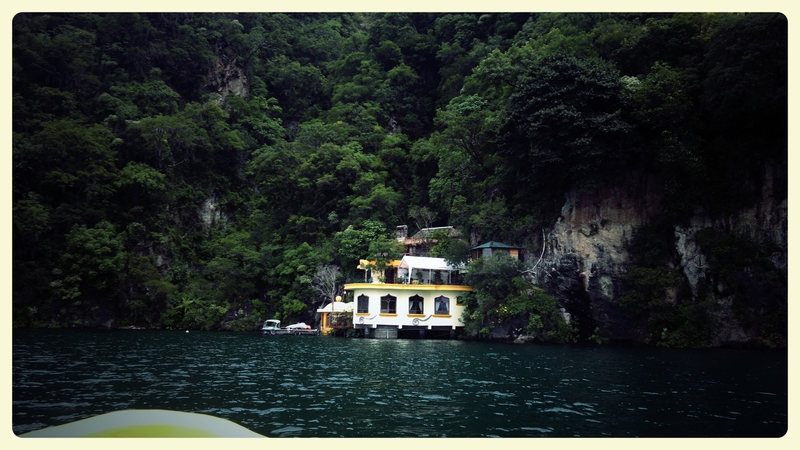 Now I understand the buzz about Lake Atitlan, it is down right mystical, enchanting and serene. I must admit that, at first, I always say it is just a lake, so what?Coming from a country of 7,107 beautiful islands, my beloved Philippines, I have a pedestal on my mind of a perfect haven of relaxation, a perfection of nature’s beauty. Then, with all the power and mystic of the Great Lake Atitlan, I came to realize that there’s no need to divide that love for nature, you multiply that feeling, then you indulge and let it consume you in a positive way. Yes! I’ve fallen in love with Lake Atitlan. Blame it all with its beauty, serenity, tranquility and most of its mysticism. For sure, if you’ll research Lake Atitlan in the internet, you’ll find tons of articles about it, so I’ll let you do the job and go ahead and search. I’m 100% confident that you’ll read a lot of beautiful articles and some not so good one about Lake Atitlan. But, what I can say about my experience in Lake Atitlan was pure pleasure and humbling. So, if you plan to include Lake Atitlan to your Guatemalan adventure, which you should really do, by all means PLEASE do! I worked for an off-grid, small green boutique, and boat-only access hotel, located in a secluded part of Lake Atitlan, in a small village in the town of San Antonio Palopo. Part of my job was to experience the lake in all aspects, as a tourist and a local. Let me say, thank you to my challenging job for giving me the opportunity to discover the most tranquil, cleanest, and off grid side of Lake Atitlan and understanding the lake as whole. From places to visit, things to do, places to eat, getting from point A to B , Mayan ceremonies and NGO activities, THANK YOU! 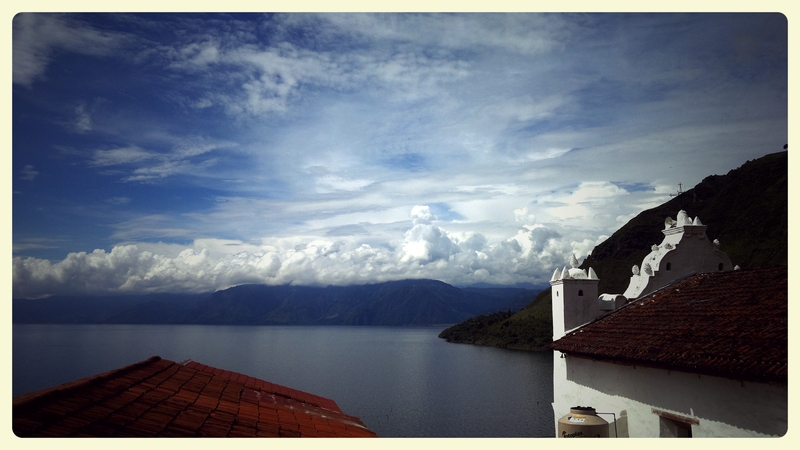 Of course, my relationship with Lake Atitlan will always be a beautiful work in progress. There were instances, because of travel time, the long and winding road going to the lake, it can turn someone off including me, but most of the time I long to feel its tranquility and let the Xocomil wind blow my hair again, it makes all the effort so worth it. As always, every time I travelled to Lake Atitlan, I’m always in complete enchantment, it’s like falling in love over and over again. It let me witnessed some of the most beautiful sunsets, mesmerizing views, and interesting people I’ve seen in my life. 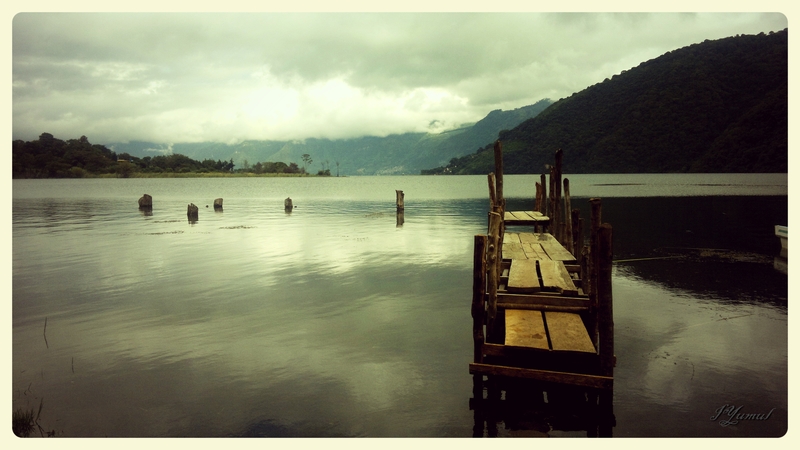 Just like in a relationship, you’ll learn to adjust, discover and embrace Lake Atitlan’s beautiful traits and flaws. Then nurture that relationship and keep the fire burning. Here’s are things I personally learned about Lake Atitlan and its surroundings. 1. Know your town(s). Towns around the lake has different vibe to offer, and the most highly visited towns are San Marcos, Santiago de Atitlan, Santa Cruz, San Juan and San Pedro and of of course Panajachel. Some are only accessible by boat and some are yet to discover like San Lucas Toliman and San Antonio Palopo. And of course Panajachel, the melting pot of tourists. It is the drop off point for both public transport and shared shuttle service for locals and tourists. It is the key town to reach other towns, where you can take public boat to go to other towns, or hop into the back of a pick-up truck to go to your next destination. Also, if you’re in for a quick booze fix, hippie interactions, last minute souvenir hunt and a foodie, then, Panajachel is the place to be in Lake Atitlan. 2. Be prepared. The minute you set your feet to the ground in any towns around the lake whether you just got in or getting out, get ready to hustle out of the crowd or from the swarm of “lanchero” (boatman), tuk-tuk drivers, vendors, and other transportation providers trying to make a living by convincing you to buy from them or take their service. It can be overwhelming, adventurous, fun and stressful event, that it can either help you settle in or traumatize you if you are not used to the attention given to you in one shot. This a normal scene and you can tell no and ask for a space to breathe and process the situation before you decide, and they’ll back off. 3. Respect the culture and listen to some legit advice from locals. Aside from the lake itself, one of the many beautiful things that lake has to offer is that, all of the towns around the lake are highly populated by indigenous Mayan. It is true that their culture and tradition are interesting, but, I’ve seen so many tourists that forget to pay a little respect to these people, so be NOT that type of tourist. If you pay a little attention to them, you’ll understand and see how rich their culture is and what a beautiful soul they have. There are still so many things to see, learn and experience in Lake Atitlan. Will I ever go back, certainly will do with open arms. Thank you Lake Atitlan for all the humbling experiences you gave me, your beauty and your people are truly a blessing for me. Till we meet again. Puro utz! Make sure to subscribe to my mailing list to receive and read my latest blog from your inbox. Or, follow me in Facebook or Instagram to know my latest travel adventure stories. Should you need some travelling tips and recommendations to Guatemala, please feel free to email me and I’ll be happy to hook you up with reliable transport companies, hotel recommendations (high and lows), food places must stops, activities to do, and key places to see. I’m just one email away, contact me. Feliz viaje a Guatemala. A mother, yogini, sun worshipper, beach lover, bookworm and culture enthusiast. 100% and proud FILIPINA. The world's most photographed hotel. #withoutborderdiscoveries#quebeccity #oldquebec #visitquebec #chateaufrontenac #bonjourquebec #traveldestination #weekendgetaway Make sure to visit www.themixedculture.com to read my latest blog.